Some people can spend an incredibly long time on their needlework projects and when they ask us to frame we always ensure that no harm is caused to their work and that whatever we do is completely reversible. 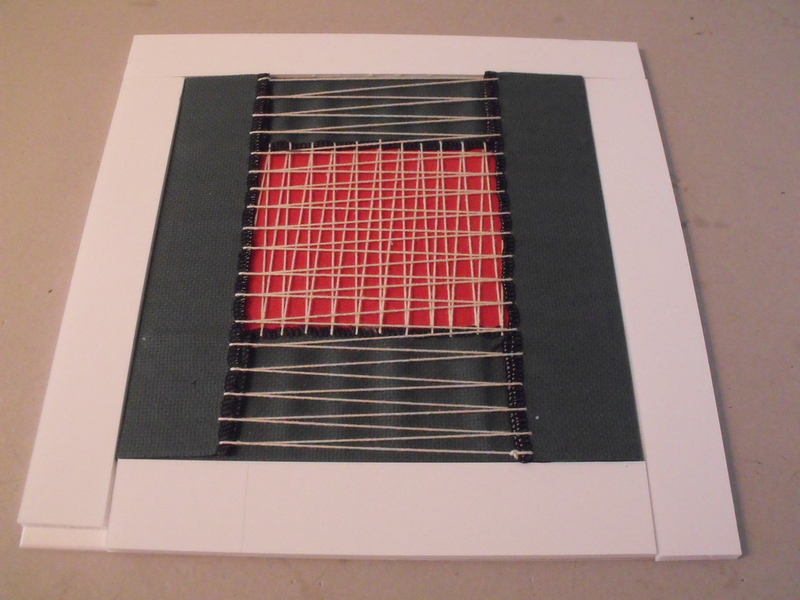 This picture shows the method we use to lace a cross stitch to a support board using crochet thread. This ensures that if there is a need to take it apart in the future there will be no need to contend with tapes, glues, rusty staples or pins. 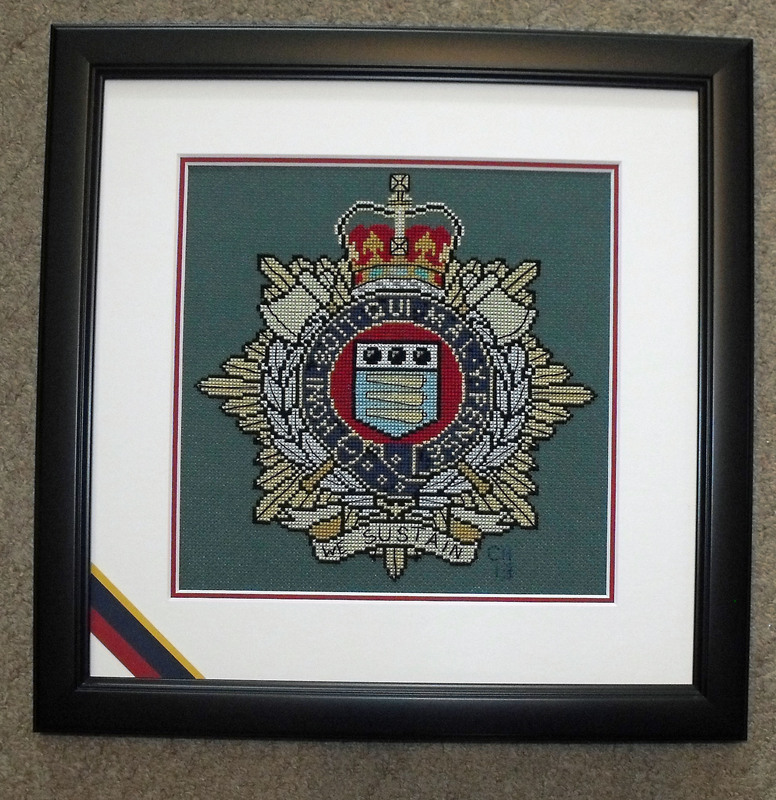 To add more interest to the project we included the colours of the Royal Logistic Corps inset into the top mount. 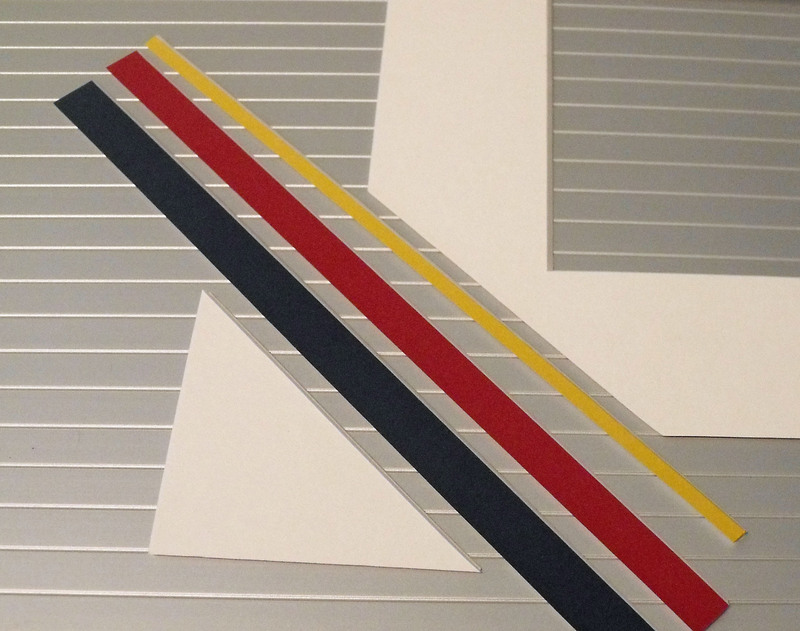 Here you can see the corner showing the colours spliced seamlessly into the mount. 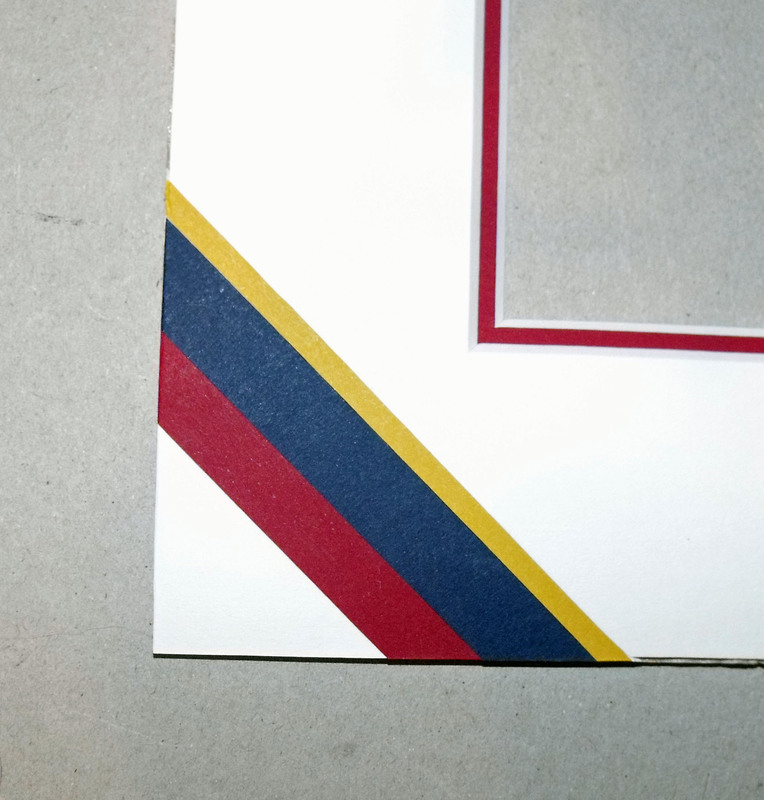 By gluing strips of foam board to the back of the mount the needlework can be held in place without the need of tapes or glue and again allows the item to be removed easily. The addition of a matt black frame completes the job.